Yay! K-pop nail art! 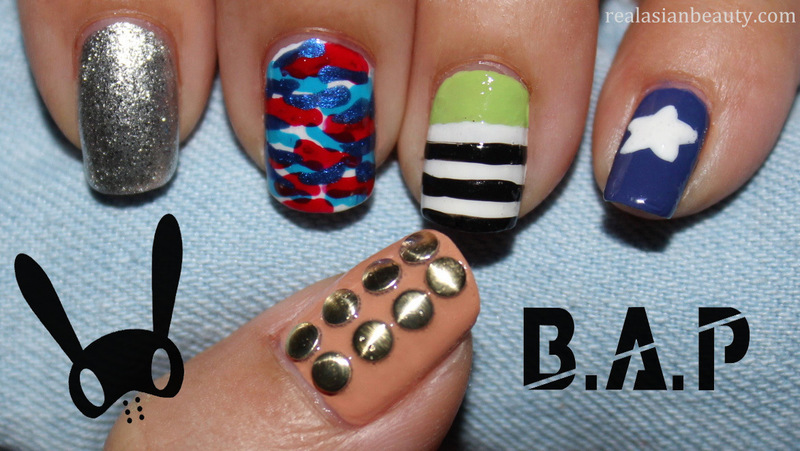 Many of my viewers on Youtube requested for a BAP nail art but because I don't know the group too well, I had to take the time to watch some of their videos first before coming up with a design. After watching some of their videos, here's what I came up with. 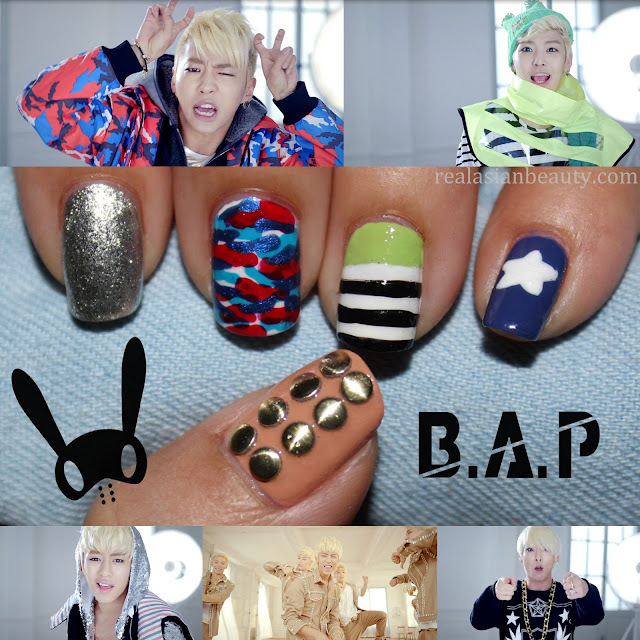 Since the group has this beasty image, most of their videos have dark concept so it was difficult to find prints and patterns that would be suitable for nails. Glad they came up with a fresher vibe in one of their recent videos. I promise to make more videos in the future so be sure you are tuned!